1. 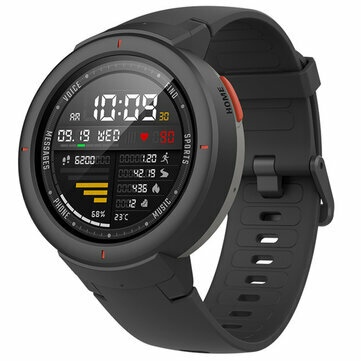 The Amazfit Verge Smart Watch just has been awarded the IF DESIGN AWARD 2019. 2. To use the watch to answer or make a call, you need to connect the watch via bluetooth with your mobile phone. This function only supports Android phones. 3. The NFC function will not be working oversea, please be aware of it. 4. Now the black and the blue version are in stock. We will arrange to deliver the products as soon as possible. Please be patient. Thank you for your supporting.